Over the next dozen or so few days I’ll be ramping up on Docker, where my gaps are and where the project itself is going. I’ve been using it on and off and will have more technical content, but today I wanted to write a short piece about what, where, who and how Docker came to be. As an open source engine Docker automates deployment of lightweight, portable, resilient and self-sufficient containers that run primarily on Linux. Docker containers are used to contain a payload, encapsulate that and consistently run it on a server. User cases for Docker include taking packaging and deployment of applications and automating it into a simple container bundle. Another is to build PaaS style environments, lightweight that scale up and down extremely fast. Automate testing and continuous integration and deployment, because we all want that. Another big use case is simply building resilient, scalable applications that then can be deployed to Docker containers and scaled up and down rapidly. The creators of Docker formed a company called dotCloud that provided PaaS Services. 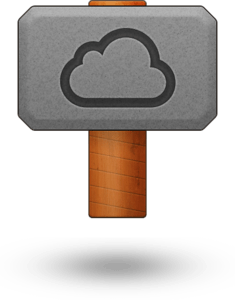 On October 29th, 2013 however they changed the name from dotCloud to Docker Inc to emphasize the focus change from the dotCloud PaaS Technology to the core of dotCloud, Docker itself. As Docker became the core of a vibrant ecosystem the founders of dotCloud chose to focus on this exciting new technology to help guide and deliver on an ever more robust core. The community of docker has been super active with a dramatic number of contributors, well over 220 now, most who don’t work for Docker and they’ve made a significant percentage of the commits to the code base. As far as the repo goes, it has been downloaded over a 100,000 times, yup, over a hundred. thousand. times!!! It’s container tech, I’m still impressed just by this fact! On Github the repo has thousands of starred observers and over 15,000 people are using Docker. One other interesting fact is the slice of languages, with a very prominent usage of Go. Overall the Docker project has exploded in popularity, which I haven’t seen since Node.js set the coder world on fire! It’s continuing to gain steam in how and in which ways people deploy and manage their applications – arguably more effectively in many ways. Portland Docker Meetup. Click image for link to the meetup page. The community is growing accordingly too, not just a simple push by Docker/dotCloud itself, but actively by grass roots efforts. One is even sprung up in Portland in the Portland Docker Meetup. Manually Guiding Freight, To Hand Unload Later. trucks and buggies (ya know, that horses pulled) all were loaded by hand. There wasn’t any standardization around movement of goods except for a few, often frustrating tools like wooden barrels for liquids, bags for grains and other assorted things. They didn’t mix well and often were stored in a way that caused regular damage to good. This era is a good parallel to hosting applications on full hypervisor virtual machines or physical machines with one operating system. The operating system kind of being the holding bay or ship, with all the freight crammed inside haphazardly. Shipping Yards, All of a Sudden Organized! dropped, injuries dropped, shipping became more modular and easy to fit the containers together. To put it simply, shipping was revolutionized through this invention. In the meantime we’ve all benefitted in some way from this change. This can be paralleled to the change in container technology shifting the way we deploy and host applications. This entry was posted in Architecture, Containers, How-to and tagged container, containers, docker, history, linux, lxc, paas, platform as a service on November 20, 2013 by Adron. Dan (he’s a good guy, check him out on Twitter @dturkenk), your “East Coast vs West Coast PaaS Psychology. And Why It Matters.” is great write up. Loved it! I’ve got to say, I’m pretty much in agreement with almost every single thing you’ve written here. Matter of fact I’m staunchly in agreement with a lot of it. There’s a few other abstractions I’d like to add, that makes the reality of east coast and west coast PaaS what it is, and why some of these things are like this. which I know is true, sometimes. There are however many enterprises out there that do indeed want to and are starting to move over completely. These enterprises see the value add and are not waiting around. They’re not going halfway with a hybrid solution, they’re moving full bore and realizing economies of scale that internal IT shops will not and cannot realize. This type of enterprise, is where a lot of the west coast and east coast mentality is realized. There is a risk aversion on the east coast, rightfully so with such things as financial institutions and Government being a dominent presence on the east coast. On the west coast though, the enterprises operate under a very different cultural perspective, they attempt to realize the advantages – competitive and disruptive that they are – of startups and small business. It’s as much a competitive survival for the west coast enterprise as it is for the startups and small business. Thus, we get some of the differentiators not just in technology, but in the enterprises themselves. This is the core of this psychological difference, not something that was born from a PaaS psychology, but for the ore business itself. Being that PaaS technology and its origins are from the west coast, it becomes obvious why most are focused on public or privately accessible public infrastructure. Overall, the culture expands into all those sectors in the east and west, and starts to stand out when we look at different approaches to doing business and competing. Regardless of these minor differences and the associated differences in doing business, we both agree on one thing regardless of which coast we’re on. The applications and application developers is where the value is for enterprises, mid-size, and small businesses, and startups. Without doubt, PaaS technology is focused on that core value. Enabling developers to build applications in an easier, faster, scalable and more reliable way. So far, all the platforms are doing a damn good job helping us developers do just that. This entry was posted in Cloud Speak and tagged cloud, cloud computing, east coast, paas, platform as a service, private cloud, public cloud, virtual private cloud, west coast on August 13, 2012 by Adron. First let’s build a standard ASP.NET MVC Application (yes, you can do the same without the MVC Project, but I STRONGLY recommend never creating a standard ASP.NET application again, EVER). 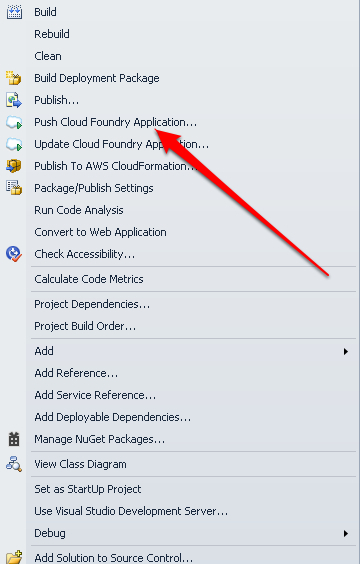 This quick run through assumes you’ve already setup a Cloud Foundry enabled PaaS w/ your already installed Iron Foundry components for .NET development. Get an Iron Foundry enabled account here, it’s 100% free, so no reason not to give it a go. There are a few ways to do this. One, the click on the start page new project option. Two, the menu based selection option. Three, the command button option. 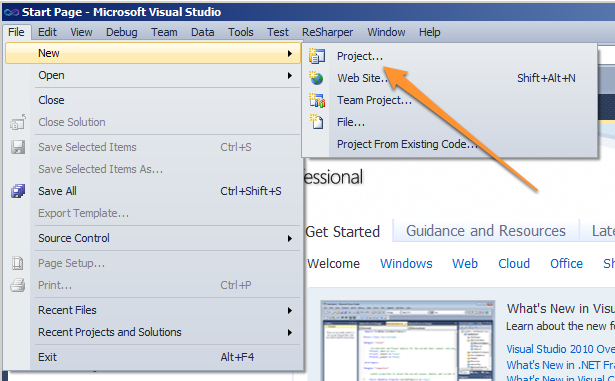 So pick your poison and then select the ASP.NET MVC 4 Project Template. On the next dialog, you’ll enter the information of where the project will go and choose the ASP.NET MVC 4 Web Application Project Template. The next dialog select the Basic template, leave Razor selected, and I always leave the unit tests project there also. Once this is done we’re now ready to give our project a little taste of deployment. Since we’re working in the land of GUIs and .NET, I’ll keep this to a completely GUI based deployment. 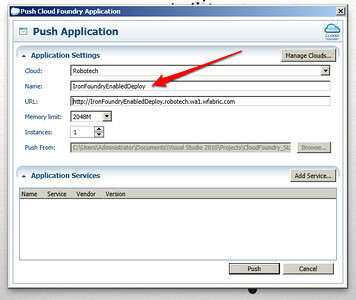 However, don’t forget that the vmc-IronFoundry is available for pushing also. So don’t fear the CLI, but we’ll skip it for now (tip: It’s practically the same as the other deploys). 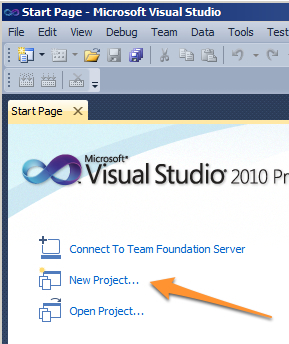 On the project in Visual Studio right click and select Push to Cloud Foundry. 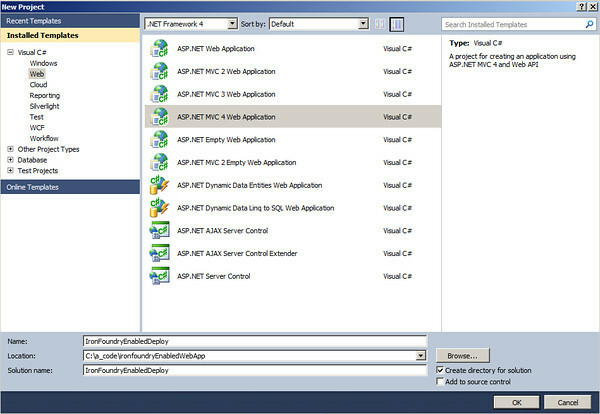 A dialog will appear for the basic parameters needed for the deployment. Enter information that you need for your application and click ok.
Now when you navigate to your cloud in the Cloud Explorer UI (Start -> All Programs -> Iron Foundry -> Cloud Explorer) you’ll see the application running under that cloud environment. As always, it is indeed THAT easy when using a Platform as a Service to deploy to! 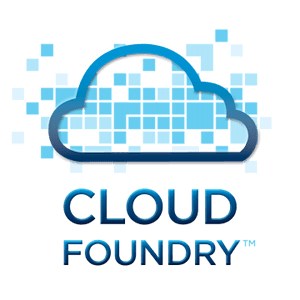 This entry was posted in .NET Bits, Cloud Foundry, Cloud Speak, How-to, Iron Foundry, Platform (as a Service) and tagged asp.net, asp.net mvc, cloud foundry, deploy, deployment, iron foundry, mvc, paas, platform as a service on July 20, 2012 by Adron.